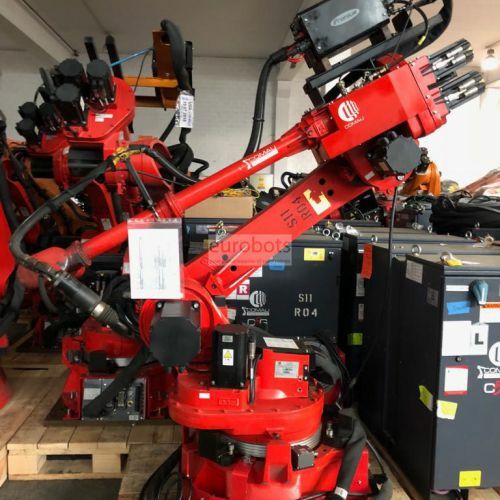 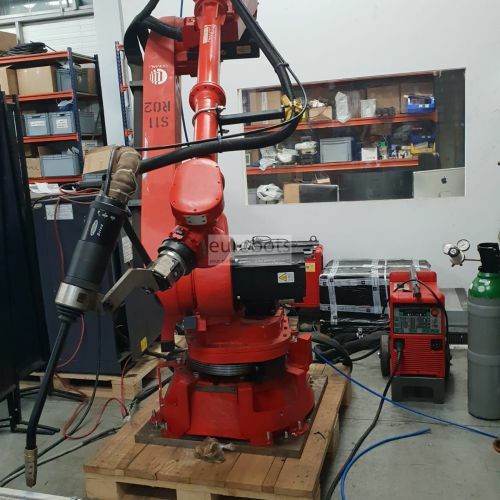 This Robot COMAU Smart5 NM Arc is a 6 axis robot for arc welding with a special design; It is equipped with the powerful C5G controller. 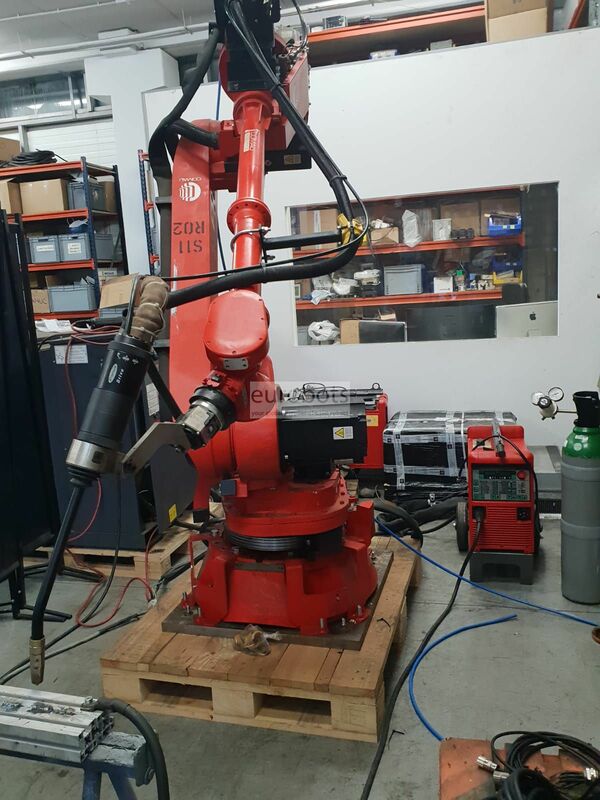 It is a robot with a medium load on the wrist, 16 kg, and has an extension: 3100mm. 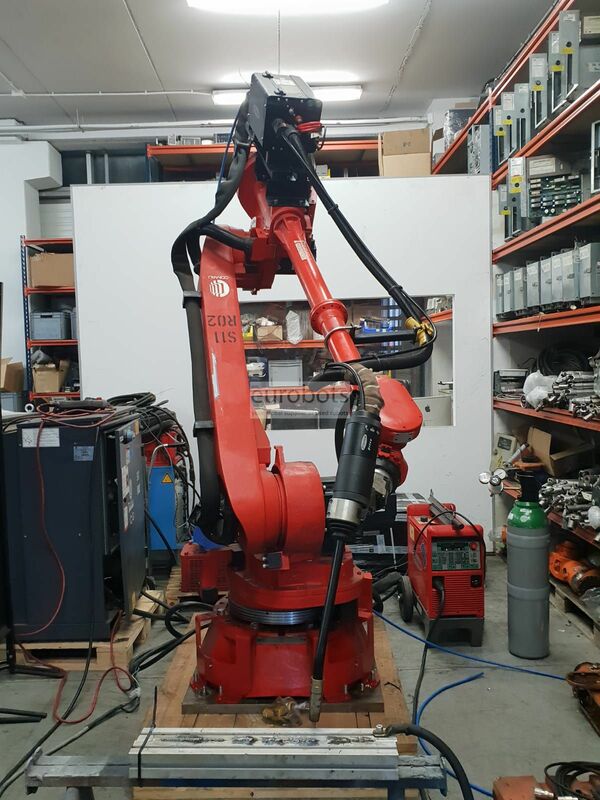 This robot offers superior quality performance and improved versatility thanks to the integrated Hollow Wrist technology. 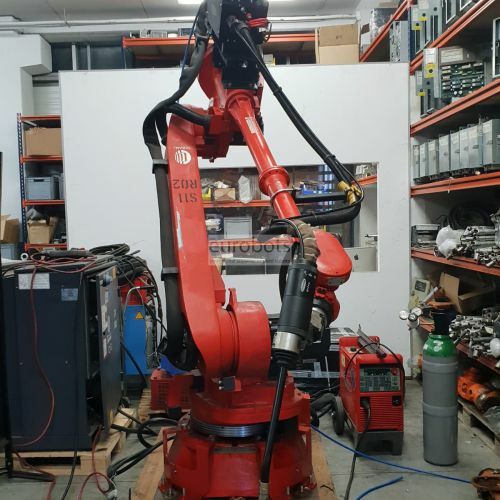 This technology allows the welding torch connection cables to be housed inside the wrist and the energy consumption is reduced to a minimum to ensure eco-compatibility, greatly increasing its performance. 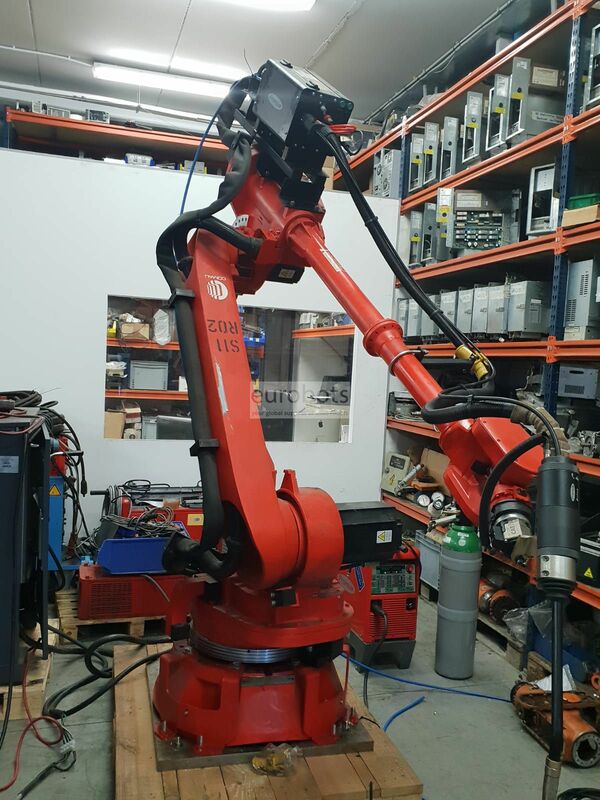 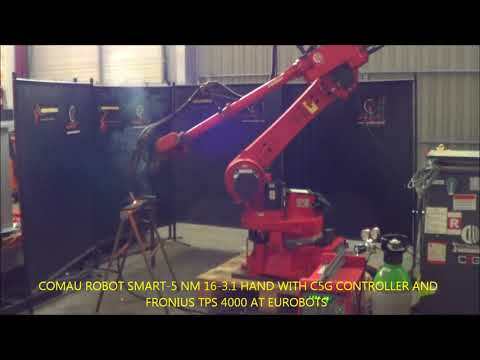 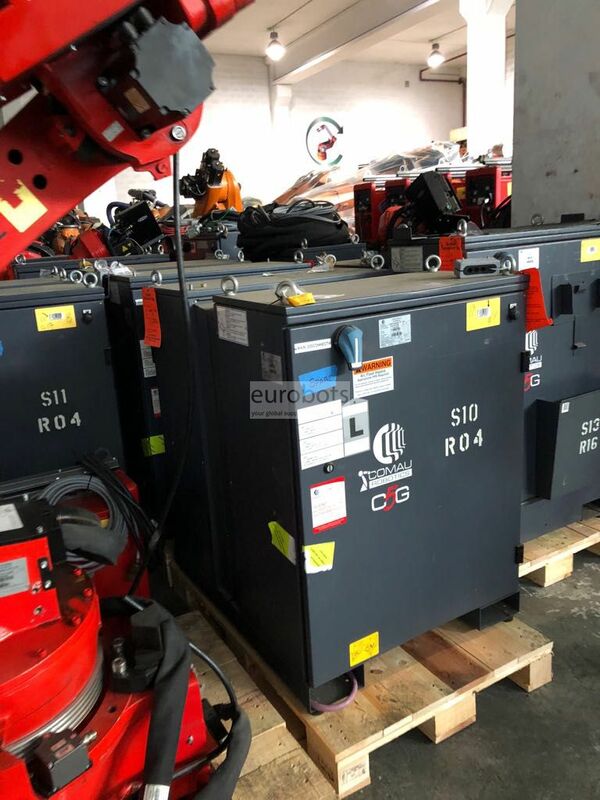 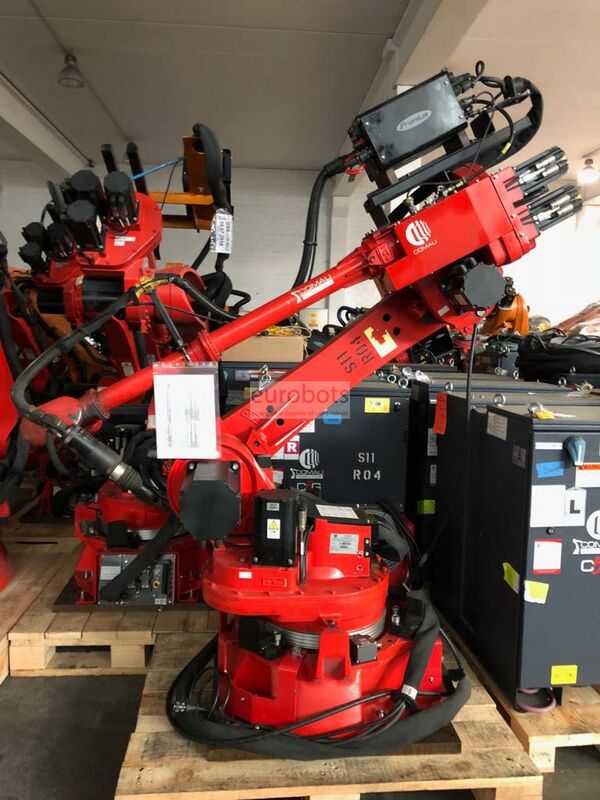 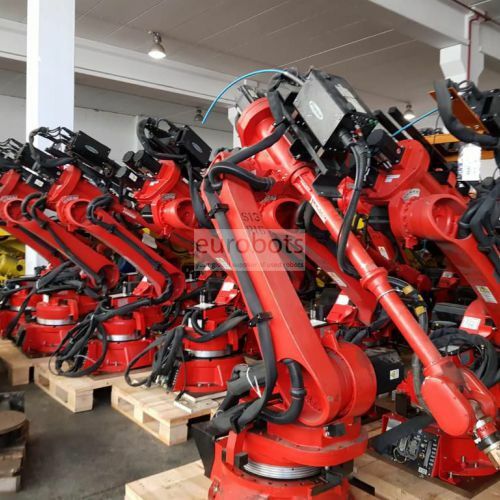 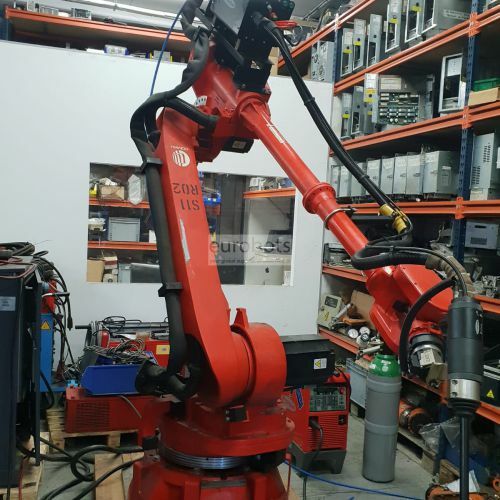 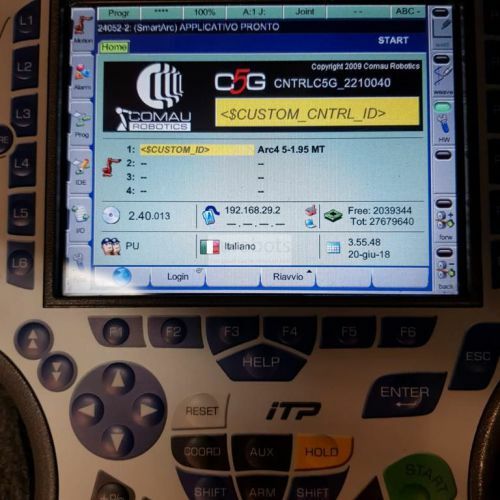 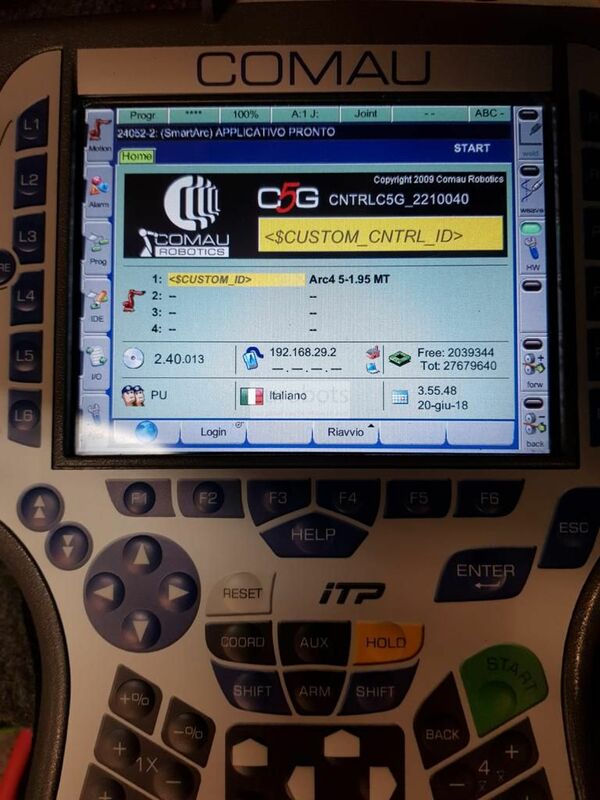 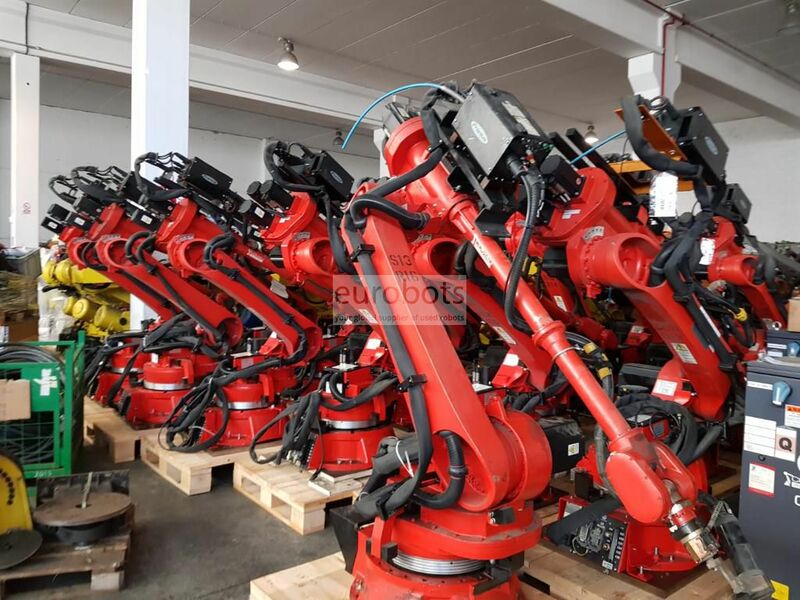 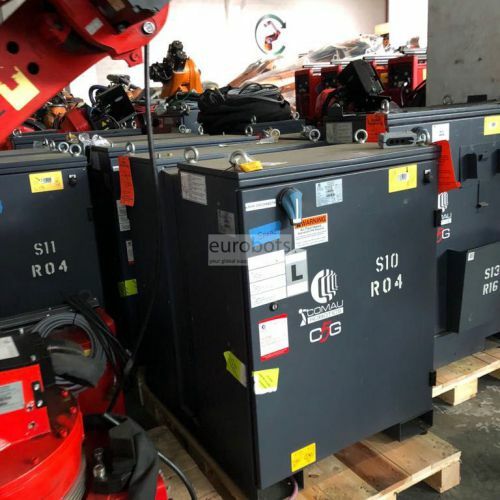 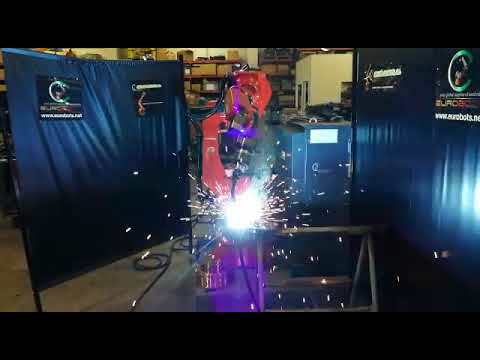 The robot is integrated with the famous Fronius TPS4000 welding machine with 400 amperes of nominal power. 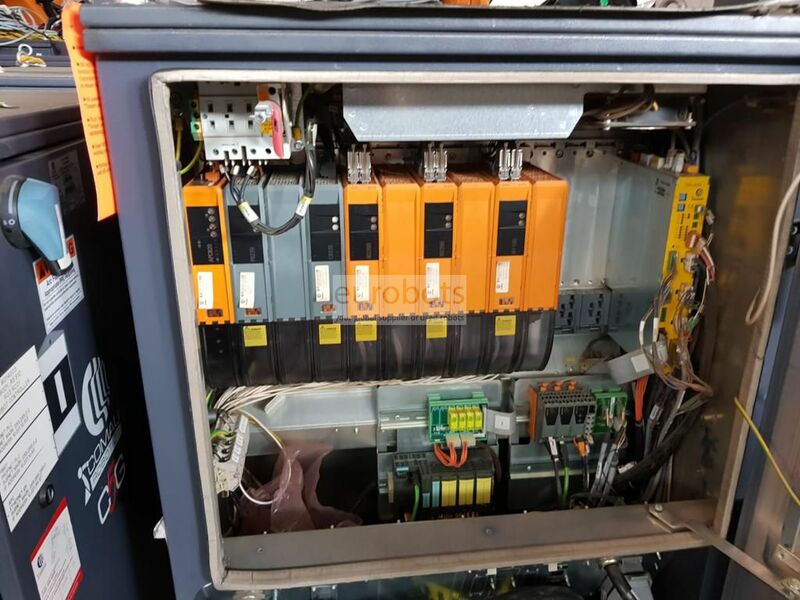 The new generation of eld buses based on Hilscher technology, integrated by B & R into their remote X20 I / O family, ensures a reliable and reliable interface in every customer application. 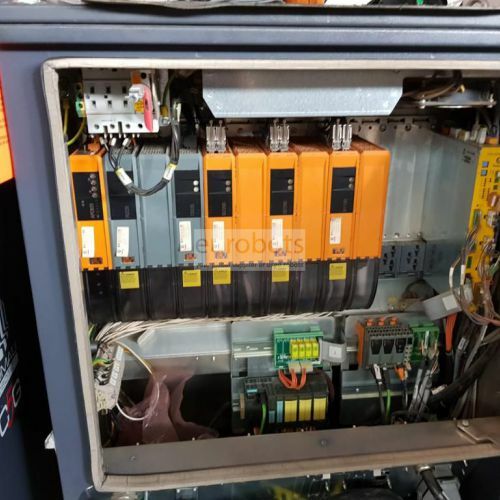 Modular interfaces are available such as digital I / O, analog I / Os and for many types of encoder, position transducer, resolver, etc.